I have heard about speakers that amplify music via close-contact magnetic induction. Thanks to MakeTheOne.com who sent me Oaxis Bento to experience this technology. Its 360-degree speaker design has won the 2014 iF Design Award. Oaxis Bento works simply by placing the device on the top, near the receiver indicated by the white line marker. Its internal battery is charged in 3 hours and provides 6 hours of music. The electromagnetic induction sensor is rather sensitive. When I tested the device in office, the speaker played pretty loudly even though the smartphone speaker volume is very soft. To deliver consistent audio, you should increase the volume for the sensor to pick up the signals. As the Bento does not have volume control, I have to control the volume from the source. When the smartphone speaker volume is too soft, the sensor is unable to pick up consistently and breaks off. As such, the Bento volume starts from mid-level upwards, not ideal for quiet playback. 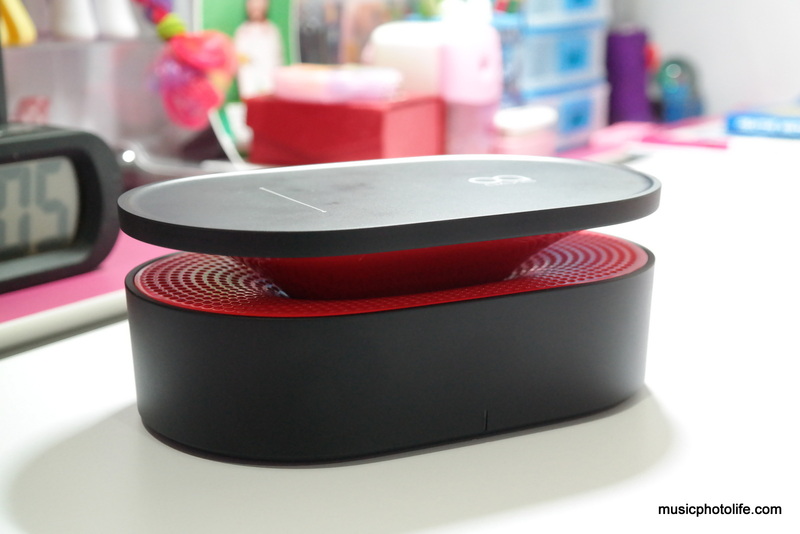 During the review in office, people asked me the purpose of this speaker when a Bluetooth connection is already a popularly common form of wireless audio, and it is more convenient since you don’t have to leave the smartphone on top of the speaker. Better still, just plug into the 3.5mm audio cable. If you ask me, I’d say it’s about convenience and style. It’s just like why consumers charge their devices with wireless charging pads when we could conveniently plug in to the cable directly for charging. The Oaxis Bento is hassle free. As long as your device is playing music, you can place it on the Bento against the sensor and the Bento amplifies the sound. No need to pair to Bluetooth or plug cable. I find it extremely useful when the smartphone speaker volume is just not powerful enough to hear. 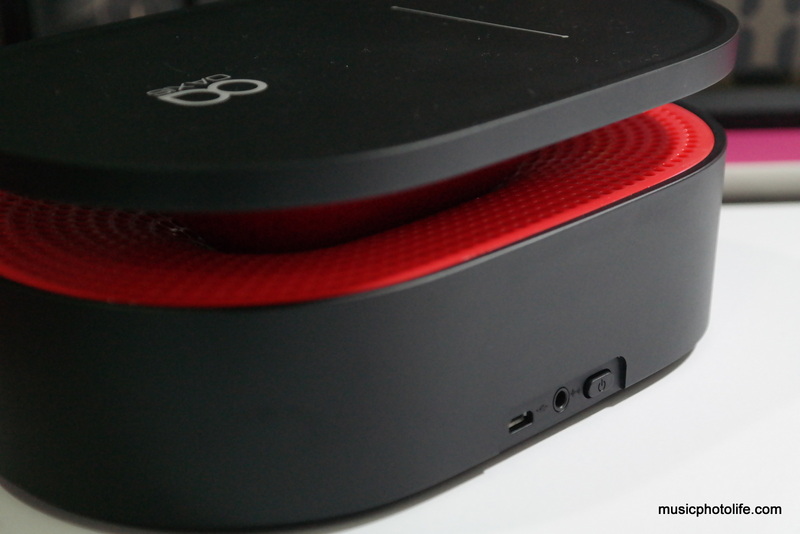 In terms of audio quality, the Bento naturally cannot compare to direct-line speakers since it translates electromagnetic signals from another device’s speaker into Bento’s speaker. So if your source speaker does not produce a balanced sound, neither will Bento deliver quality sound. However, if you are looking for basic sound amplification, then the Bento can fulfill that deficiency. 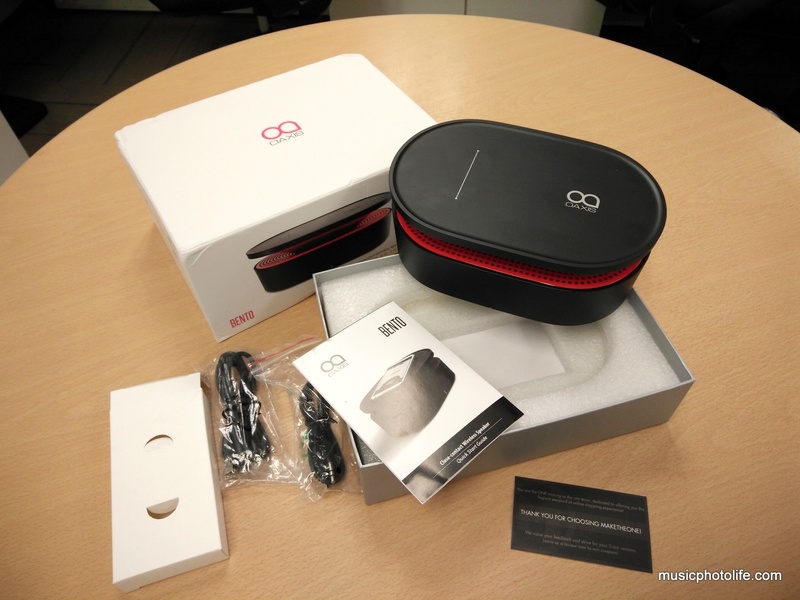 The Oaxis Bento retails at US$59.90, but MakeTheOne.com is having a promotion. Order the Oaxis Bento from MakeTheOne or Amazon.